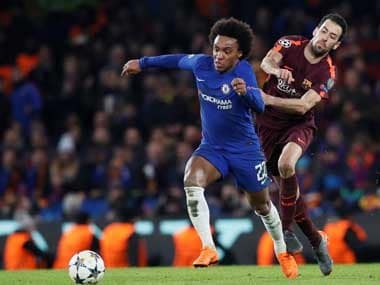 Chelsea cruised into the Champions League last eight with a 2-0 win over toothlesss Galatasaray on Tuesday for a 3-1 aggregate success as Didier Drogba's Stamford Bridge homecoming turned out to be a damp squib. First-half goals by Samuel Eto'o and Gary Cahill effectively settled the tie and Chelsea then smothered the match with Frank Lampard offering a tireless midfield screen and their John Terry-led defence in total command. "We are a Champions League club, we are amongst the last eight, the best teams in the world, with all the big clubs. The players deserve to be there," said Chelsea boss Jose Mourinho. 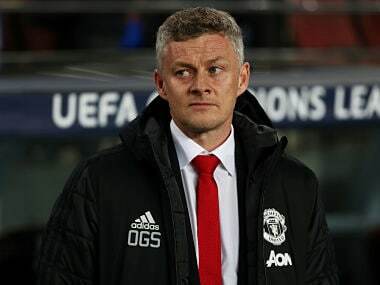 "Last season the Europa league was a different level but to come from there to the Champions League quarter-final is important for the players and the club," he added. Chelsea won the second-tier Europa League competition last season under Rafa Benitez after being knocked out of the Champions League at the group stage. Tuesday's defeat for Galatasaray capped a frustrating return for former fans' favourite Drogba who received a hearty welcome before kickoff and even gave Mourinho a kiss. However, the Ivory Coast striker failed to make any headway as the visitors slipped out of the competition without once testing home keeper Petr Cech. "I think it was difficult the way the team played, if you are a striker and the team is not there you are a lonely man," Mourinho said of Drogba's performance. "I think he couldn't do much, in my opinion Gary Cahill and John Terry gave a fantastic performance, we controlled the game so well we couldn't see Didier in the dangerous positions." Galatasaray had not won in eight previous visits to English clubs, drawing three and losing five, and the odds of them ending that streak lengthened considerably with a goal after four minutes that settled the hosts. Eden Hazard produced a neat touch and turn on the halfway line and sent Oscar clear down the right. The Brazilian crossed low for Eto'o who swept in a low shot that keeper Fernando Muslera got a hand to but could not keep out. The goal quietened the travelling fans, who had brought some welcome noise and colour to their corner of the ground, and Chelsea's experience kept them subdued as the home side remained calmly in control of a stop-start first half punctuated by endless free kicks. If the first goal was the product of Chelsea's international brigade, the second in the 42nd minute was fashioned from traditional British beef as Terry headed a Lampard header goalwards and, after Muslera parried, fellow centre back Cahill slammed the loose ball gleefully into the roof of the net. 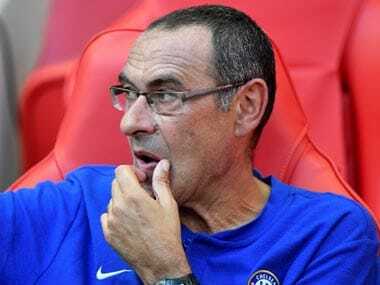 Chelsea worked hard to maintain their shape in the second half and Galatasaray's Dutch midfielder Wesley Sneijder, who was the key man when Inter Milan beat Chelsea here four years ago, was a peripheral figure. So too was Drogba, whose miserable return to London was summed up by a first-half free kick that was so high that it clattered into a "Drogba Legend" banner hung by Chelsea fans from the second tier of the stands. His team did not muster a single shot on goal all night and when their only real chance fell to the 36-year-old in the final minute, his swinging boot failed to make any contact. Galatasaray coach Roberto Mancini said: "We really played very, very badly. Chelsea were the better side and they converted the opportunities they got. The match was Chelsea's 100th home game in European competition and few of the previous 99 can have been so easy. They could go into Friday's quarter-final draw as England's only remaining club after Manchester City and Arsenal were eliminated last week and Manchester United face a tough task to overturn a 2-0 first-leg deficit when they host Olympiakos Piraeus on Wednesday.